No matter how you use your phone, the Soundpoint IP 550 has you covered. 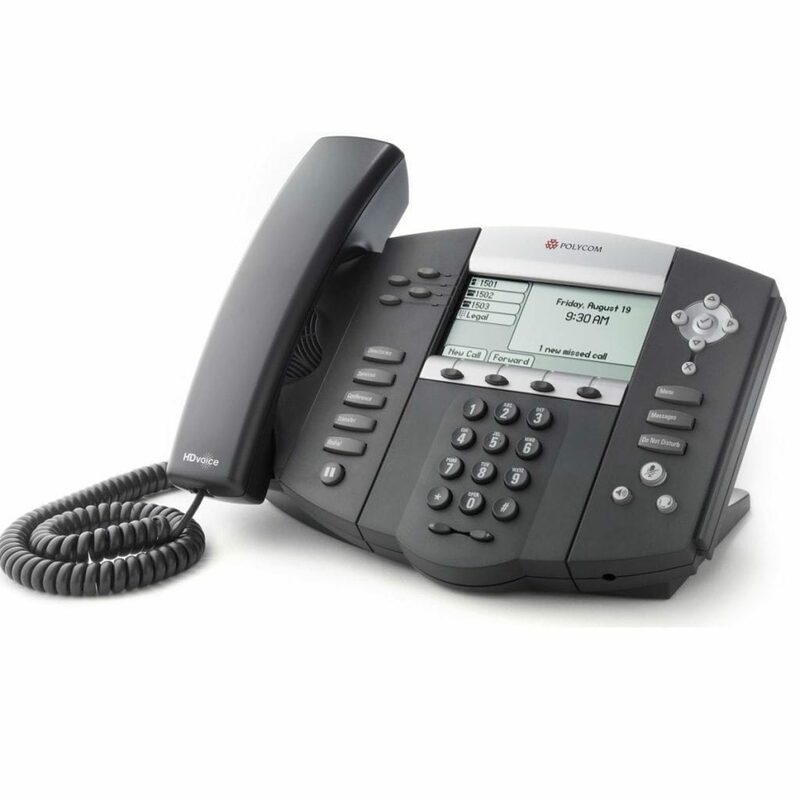 Offering a full high-res graphical backlit UI, Polycom’s HD Voice™ & Acoustic Clarity tech for optimal audio quality, 4-line support, high-level customization and boot-and-call server redundancy to enable maximum uptime, the IP 550 offers a highly flexible and functional desk phone. To expand its capabilities, the IP 550 also features XML integration for browsing, productivity apps, text & chat, in addition to BLF and appearance for shared calls and bridged lines. All of this functionality is built into a device designed to enable simple, easy, fast and inexpensive installation, customization, upgrading and deployment across multiple server-types including FTP, TFTP, HTTP3 , or HTTPS3 (via the device’s native dual-port Ethernet switch and IEEE 802.3af PoE circuitry).